The Breast Center at Chesapeake Regional provides comprehensive breast care through every step of your journey, from screening mammogram to surgery. As a Breast Imaging Center of Excellence, we offer the very latest in state-of-the-art equipment including 3D mammography, 3D whole-breast ultrasound and 3D biopsy capability. Our patient care team includes some of the region's most experienced physicians, surgeons, radiologists, oncologists and therapists. For those requiring treatment, our Breast Care Navigator will be with you through the entire process. To learn more about our breast care services, click here. 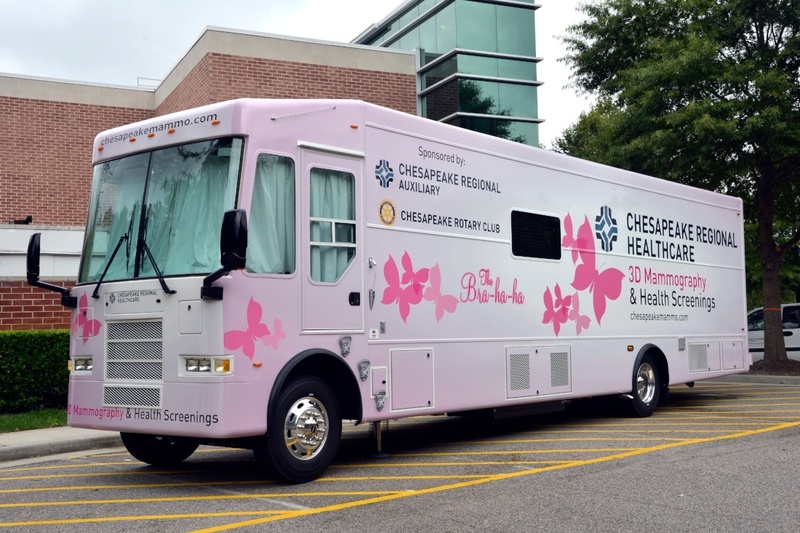 The first 3D Mobile Mammography Unit in Hampton Roads is on the move! Our unit visits businesses, festivals, churches, parks and more. We bring everything to your chosen site, making it easy to walk outside and have an annual mammogram completed in less than 30 minutes. Individual appointments can also be scheduled on available screening days open to the public. To book the unit or see the schedule click here.